If you’ve listened to our latest interview with Tom Hogarty, principal product manager for Adobe Lightroom, you already know this. If not, here it goes. 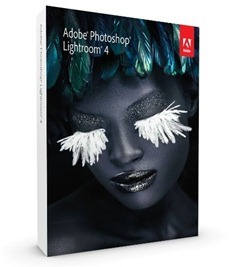 We have a boxed copy of Lightroom 4 to give away, courtesy of Adobe. All you have to do is drop us a comment on the interview episode post and tell us what are your favorite features in Lightroom 4, or what you would like to see on the next version of Lightroom. Entries open until the end of August 15, 2012. The winner will be randomly selected from all the valid entries. Want to help us out? Spread the word about this giveaway and PhotoNetCast on your social networks and to your friends. I’ve heard that the RAW processing has been upgraded significantly in LR4. That’s what I’m most curious about. Unfortunately for me, I upgraded to LR3 a few weeks before it was released! Guess that shows how much I’ve been keeping up with the latest in software news. my strongest wish for LR5 is that the croptool should be enhanced by nameable presets! I was excited to discover that you could do limited video editing in Lightroom 4. I would like to see a few more video editing features (without getting too complicated) in Lightroom 5. I know there are video editing programs, but it would be great to continue having the ability to have both photo and video in one program that is easy to use.